Even as a child, I always loved the glitz and the glamour of the Academy Awards. My favorite year was when Roberto Benigni won Best Actor (also one of my favorite films of all time). As an adult, I think I love the Oscars even more. 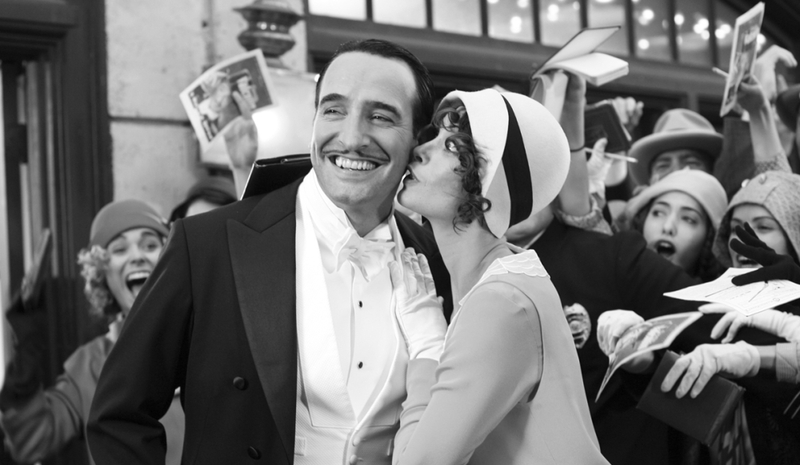 Having seen 7 of the 9 films nominated for Best Picture this year, my hands-down favorite is The Artist. So endearing and delightful! Tap dancing AND a cute dog, it’s almost unfair. 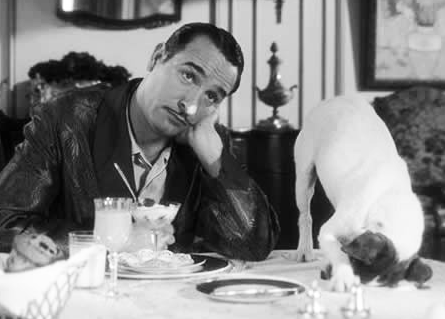 Was anyone else hoping Uggie would get an Oscar nom? So for an Oscar party today, I’m bringing an appropriately themed The Artist dessert (I’m big on themes if you haven’t noticed). This one took me awhile to decide on though. 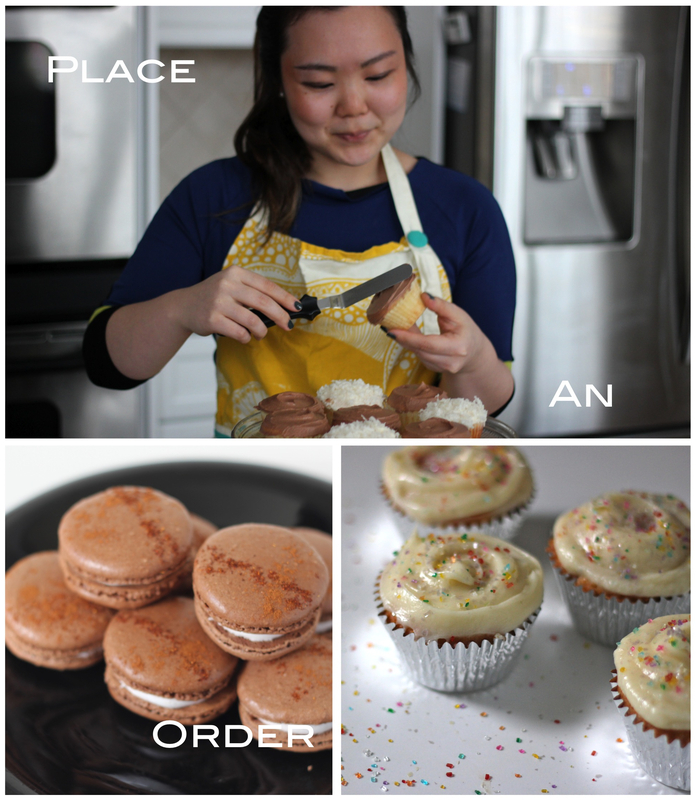 I hemmed and hawed over what to make… something French? something fit for an adorable dog? In the end, I picked something that was black-and-white, just like the film. 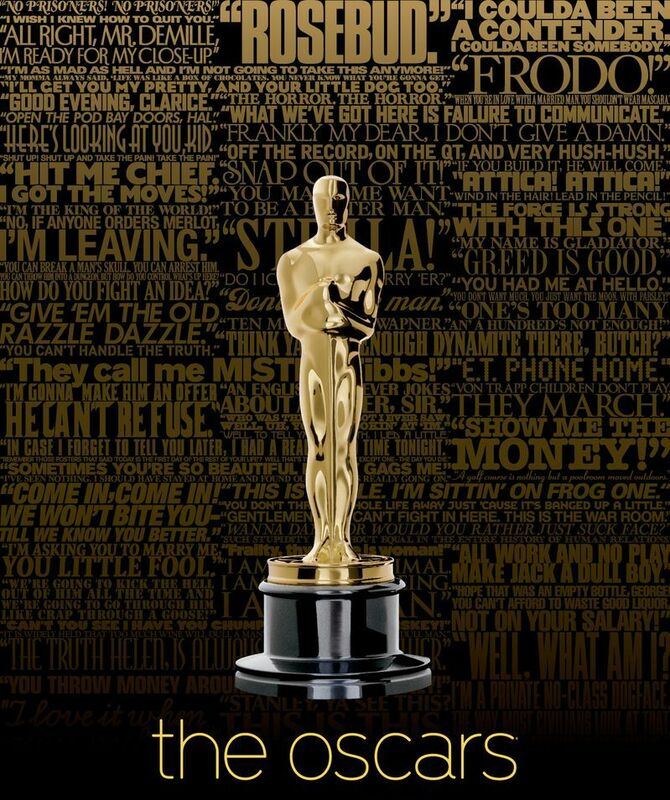 Hope you all enjoy watching the Oscars! What were some of your favorite films of this year? 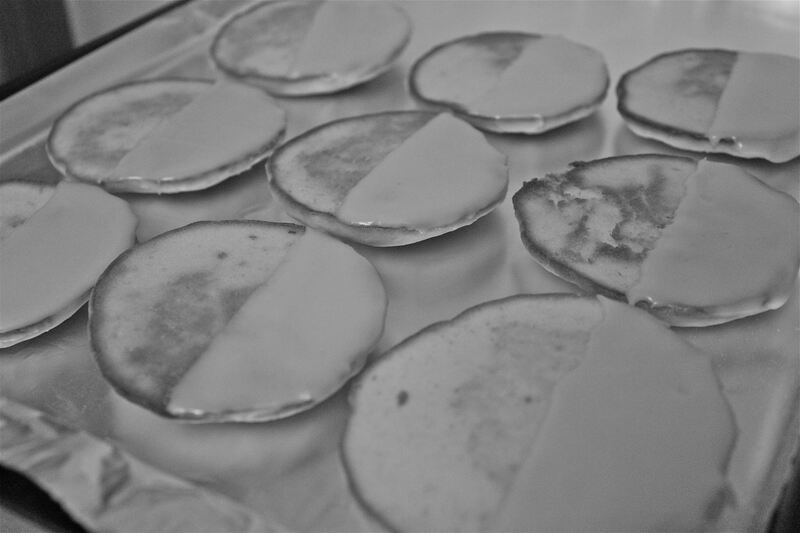 (1) To make the cookies, preheat the oven to 350˚ F. Line 2 large baking sheets with parchment paper. (2) In a large bowl combine the flour, baking powder and salt. Whisk to combine, and set aside. 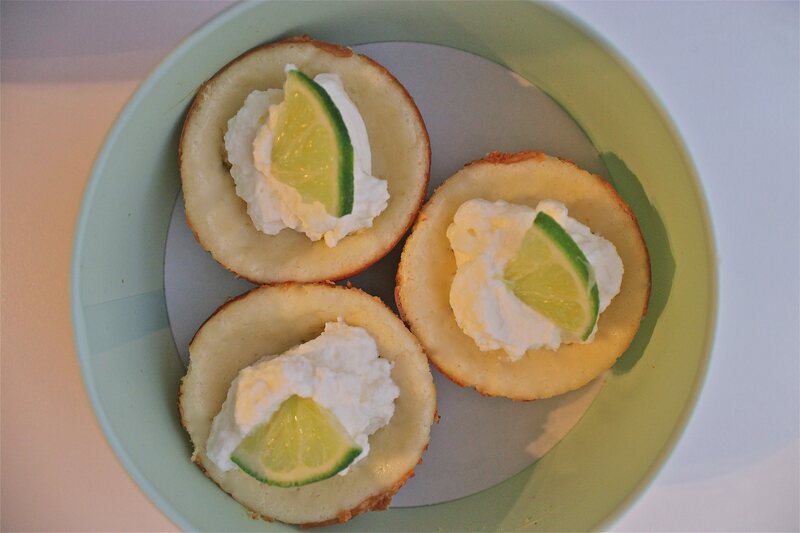 (3) In the bowl of an electric mixer, beat the butter on medium speed until smooth and creamy, about 30 seconds. Add in the sugar gradually, increasing the speed to medium-high and beating until light and fluffy, about 3 minutes. Scrape down the sides of the bowl. (4) Blend in the eggs, vanilla and lemon extracts at medium speed until combined, about 30 seconds. With the mixer on low speed, beginning and ending with the flour mixture, alternately add the flour mixture in 3 additions and the milk in 2 additions just until combined. (5) Using a tablespoon, place about 8 spoonfuls of dough evenly apart on each baking sheet. With moistened fingers, gently press each mound of dough into a disk 2½ inches wide and ¾ inch thick. (6) Bake until the centers of the cookies are firm and the edges are just beginning to brown, about 10-12 minutes, rotating the baking pans halfway through the baking time. Cool the cookies on the baking sheets for 2 minutes. 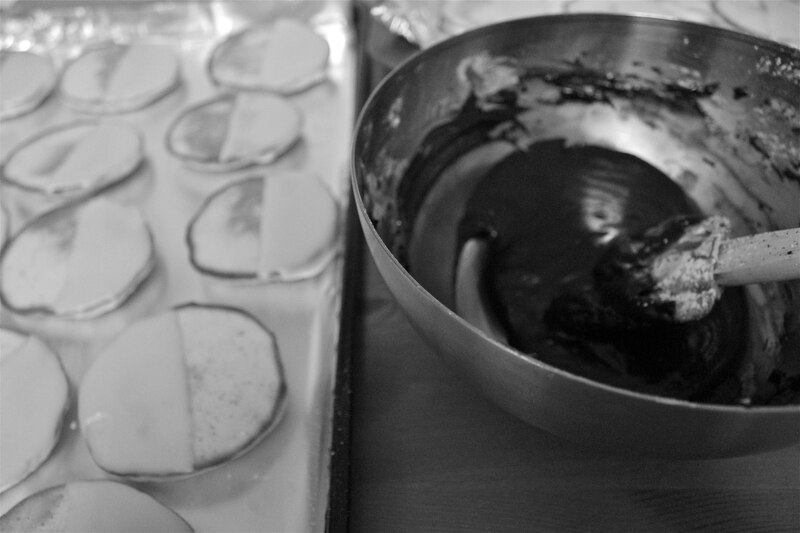 Use a wide spatula to transfer the cookies to a wire rack. Repeat with the remaining dough. Let cookies cool completely before icing. (1) Boil a cup or so of water in a small pot. (2) Place confectioners’ sugar in large, heat-safe mixing bowl. Gradually stir in enough boiling water to the sugar to make a thick, spreadable mixture. Err on the side of caution because a too-thin frosting is hard to undo. Leave remaining boiling water on the stove. 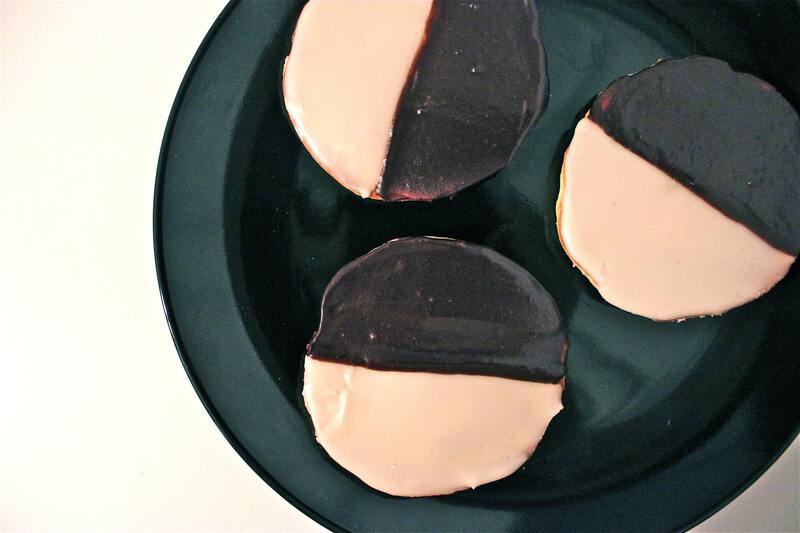 (3) Using an offset spatula or rubber spatula, spread icing on half of the flat side of each cookie. Once all cookie halves have been frosted, let set for about 15 minutes. (4) Place the bowl of the remaining frosting over the hot water and bring it back to a simmer (creating a double-boiler). (5) Stir in the unsweetened chocolate until melted, as well as the light corn syrup. 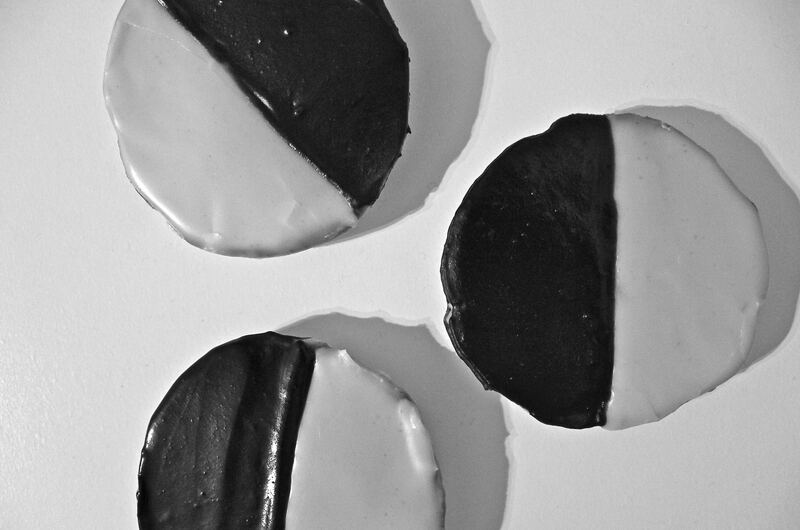 At this point, depending on the chocolate you used and your preferences, you might find the chocolate color to be a little lighter than the “black” of a black-and-white cookie. If so, I find that a tablespoon or so of cocoa mixed in darkens the color nicely. (6) Ice the remaining half of the cookies with the chocolate frosting. The chocolate icing–especially with cocoa in it–is especially prone to getting too dry, so don’t worry about whisking in an extra teaspoon of that hot water from time to smooth it back into a shiny frosting. (7) Let the frosting set. Store in an airtight container. These cookies keep for a few days, but I think they’re best on the first or second. Because of the cake nature of the bases, they can get stale quickly.